San Francisco Ballet’s 2014 season has passed its half-way point and the final four productions will unfold in the next two months. And though not all of the programs have yet to hit the War Memorial Opera House stage, it is safe to say that Program 5, Alexei Ratmansky’s “Shostakovich Trilogy” is one of the best this year. A San Francisco Ballet and West Coast premiere, co-produced by American Ballet Theatre, this abstract masterpiece captures its audience from beginning to end. 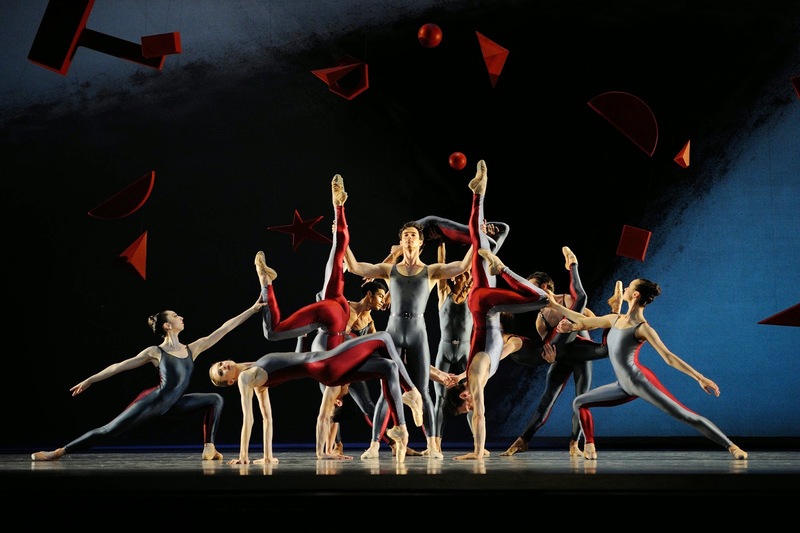 In each of the three acts, a particular aspect of Dmitri Shostakovich’s compositions is explored through choreography. And, the work carries a great truth - Ratmansky’s “Shostakovich Trilogy” is one of the great marriages between movement and music. Shostakovich’s ‘Piano Concerto #1’ served as the final section of the ballet; a physical expression of musical details and intricacies. Ratmansky brought the score to life by injecting similar choreographic subtleties: the slight movement of the head, a downward glance, Sofiane Sylve’s lightning fast batterie sur le cou de pied, Joan Boada’s flexed frappés. The corps worked together to create picturesque living sculptures and though there was an unexpected collision on stage, ‘Piano Concerto #1’ also featured a brilliant set of side by side pas de deuxs. Danced by Sofiane Sylve, Tiit Helimets, Frances Chung and Joan Boada, the unison was impeccable. The success of Part III was not just the mere presence of these choreographic details, but how Ratmansky wove them together into something truly grand and magnificent. If ever there was a ballet that fully comprehends the relationship between movement and music, it is Alexei Ratmansky’s “Shostakovich Trilogy”.